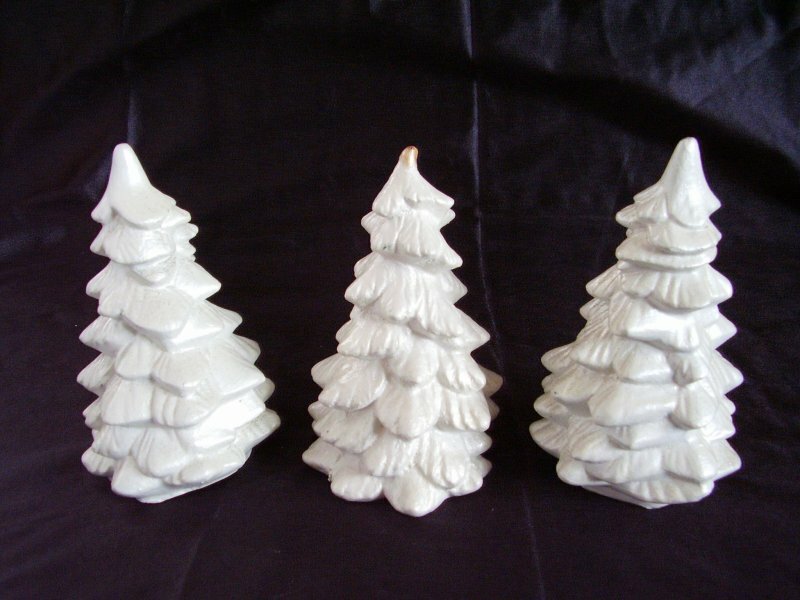 Lot of 3 small white Christmas trees that appear to be made of plaster. Each is finished with white pearl color with gold glitter. 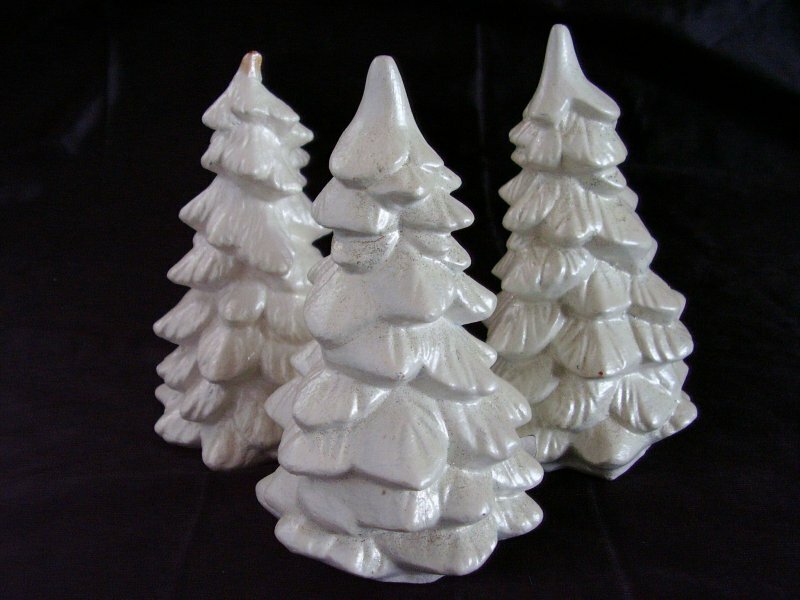 Each tree measures 5 1/2 inches tall x 3 1/2 inches in diameter.In gently used condition. 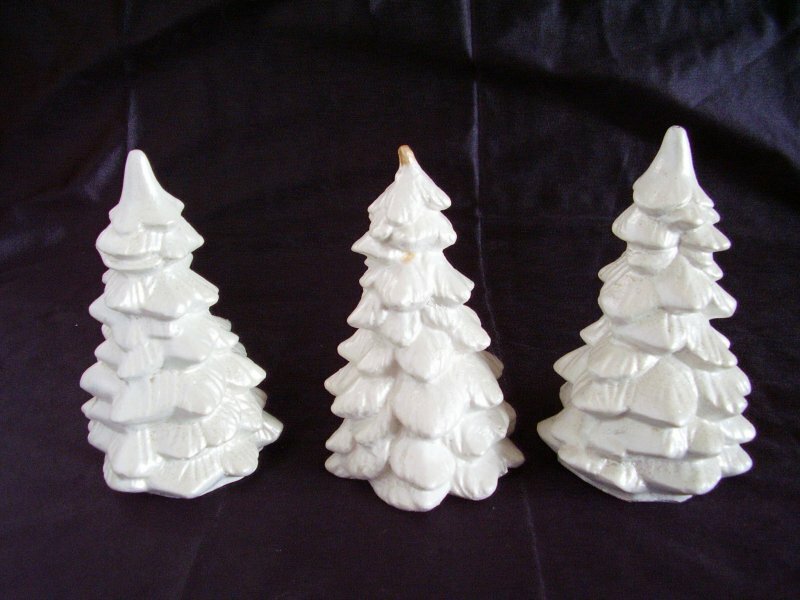 Lot of 3 small white Christmas trees that appear to be made of plaster. Each is finished with white pearl color with gold glitter. 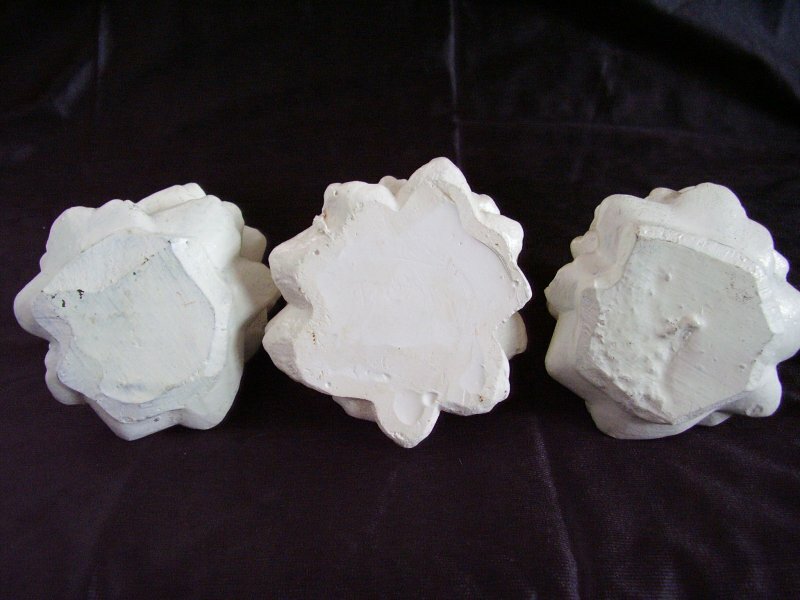 Each tree measures 5 1/2 inches tall x 3 1/2 inches in diameter.In gently used condition. Two trees are fine, the third looks to have tiny bit of rub damage on the tip. Perfect for use in Christmas villages, model train set ups, mantle or table top.